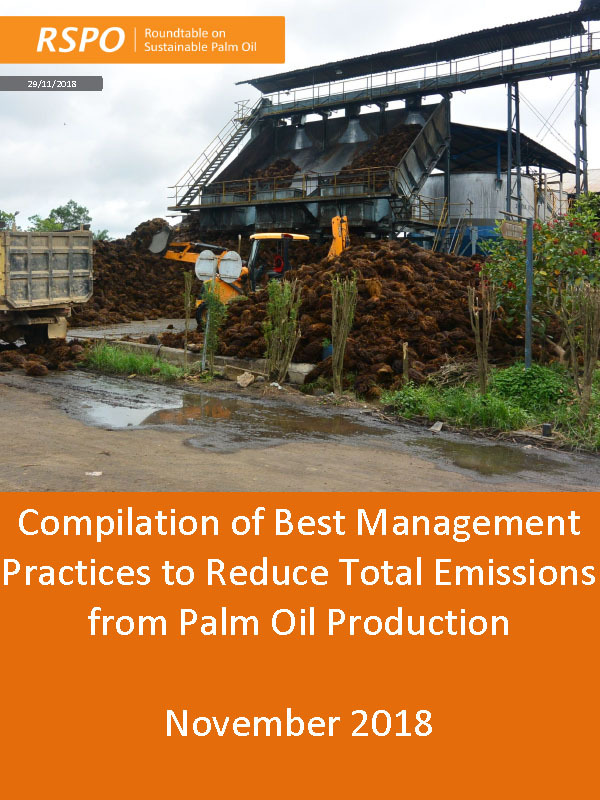 This report includes a compilation of best management practices (BMPs) to reduce total emissions from palm oil production. BMPs examined include those during plantation establishment, concession management, and mill management. Each BMP identified was evaluated against the following criteria: financial feasibility, greenhouse gas reduction potential, technical and operational challenges, environmental and social co-benefits, and replicability. In addition to the overview and assessment of different BMPs in the industry, five case studies of BMP initiatives implemented by different companies are provided. In each of these case studies, the company’s GHG emission reduction BMP portfolio is presented as well as an in-depth evaluation of one particular BMP initiative. These in-depth evaluations include information on motivation, project execution, resource requirements, stakeholder involvement, GHG emission reductions, other impacts and benefits, and lessons learned.